Select one of our hosting packages to start your WordPress 4.9.6 site. All of our hosting packages fully support the ability to host WordPress 4.9.6 sites. Why you wait longer? Get the Latest WordPress 4.9.6 Hosting with ASPHostPortal.com! WordPress 4.9.6 is now available in ASPHostPortal. WordPress is an online, open source website creation tool written in PHP. But in non-geek speak, it’s probably the easiest and most powerful blogging and website content management system (CMS) in existence today. Start your WordPress 4.9.6 Hosting with us today! Our hosting include 24x7 monitoring. 24/7 Technical support from our WordPress 4.9.6 Expert. User friendly Control Panel. WordPress 4.9.6 Installation can be done with "One Click" installation, and your Wordpress site will be accessible within few minutes! Our Windows Cloud Hosting fully supports WordPress 4.9.6 hosting. 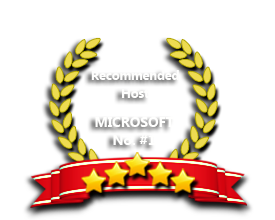 You are more than welcome to try our Free Windows Cloud Hosting before you decide to buy. You can get your Free Cloud Windows hosting account up and running within the next few minutes.